in more vegan based protein. baking soda, baking powder and salt. Stir the dry ingredients into the sugar butter mixture. 2. Wrap the dough in plastic and then refrigerate for at least 3 hours. cool completely. For chewier cookies, bake at 325°F for 15 minutes. This is good for about 2 dozen cookies. 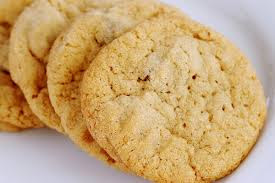 I have a great love for peanut butter and cookies and th put them together, i can agree with you, mmmmm.